Cardiff goes to the polls today to vote in the next Council. This is the first full Council election since 2012 and is very important, as it will determine the way Cardiff is run during the next few years. We strongly recommend that you vote! We know you might have voter fatigue already (and that there’s another election in five weeks…) but you really need to have your say at the ballot box to help shape Cardiff’s future. All the candidates standing are listed on Cardiff Council’s website here (scroll down for each ward), and you can find your polling station on your polling card. You do not need your polling card to vote. In an emergency, a proxy vote can be obtained until 5pm today – see the Electoral Commission’s guide here. Polling stations are open 7am-10pm. 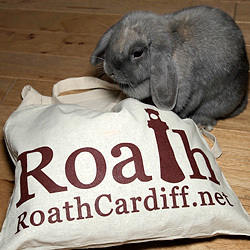 Let us know you’ve voted using the hashtag #RoathVotes!